We won’t let them destroy our dreams. History repeats itself. 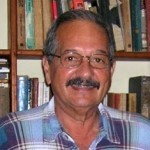 Arrogance, ignorance of Cuban reality and contempt for the peoples of Our America, lead once again to unacceptable, lying and manipulative statements in the mouth, this time by the U.S. Secretary of State, Mike Pompeo, during the OAS General Assembly, which was well defined by Cuban Foreign Minister Raul Roa Garcia as the United States Ministry of Colonies. They are wrong again and this character makes a fool of himself when he talks about the lack of opportunities for Cuban youth and questions our rights and options for building the future. This is a gross provocation because, even for someone like him, it would be impossible to ignore the revolutionary conquests that have allowed our children, adolescents and young people to grow and develop showing impressive and irrefutable human development indices, within a society that listens, protects and empowers them. He speaks of supporting young people and he does so on behalf of the government that is applying a criminal blockade that is widely rejected and condemned by the entire world. It’s the blockade which is responsible for limitations and shortcomings that have a direct impact on the very young people he is now hypocritically trying to defend. He offends with the double standards of those who have given support and refuge to those responsible for terrorist acts that have caused the death and physical incapacity of hundreds of young people throughout the revolutionary process. We ask ourselves: Why does Mr Pompeo not ask for support for the millions of young people in this region – the most unequal on the planet – who are victims of unemployment, violence, disease, discrimination and extreme poverty? 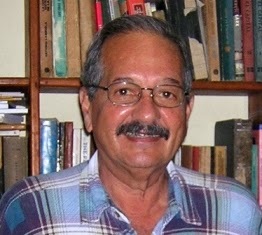 The Secretary of State cynically advocates the realization of young Cuban talent by pretending that someone believes in his words, when a simple visit to Cuba or a consultation with the statistics of any international organization of education, science and culture would be enough to deny it: Thousands of doctors, hundreds of talented scientists, renowned artists in all their manifestations, champions in sport, teachers of international merit and dozens of other girls and boys of this land destroy the laughable fallacy of Pompeii. Cuba hurts them. They know that they have not been and will not be able to reverse our history. They have witnessed the magnificent act of sovereignty that constituted the electoral process in our country, as a result of which the new generations have nurtured all levels of government, reaffirming continuity and destroying the dreams of political change that will allow them to once again be the masters of this island. We are a generation full of motivation. They will never be able to manipulate us, nor put us at the service of imperialism and its lackeys. We are children of mambisa lineage and of a dignity learned from our historical leaders. We are the owners of our streets, those where today we walk in peace and security. We will not allow them to destroy our dreams; all our forces and energies are at the service of the Revolution. During their meeting, they exchanged views on the status of bilateral relations between Cuba and the United States, as well as possible areas of cooperation of mutual interest. President of the Councils of State and Ministers, Miguel Diaz-Canel Bermudez, received Republican Senator Jeff Flake and Google’s Executive President Eric Emerson Schmidt on Monday afternoon. During the meeting, they exchanged views on the status of bilateral relations between Cuba and the United States, as well as possible areas of cooperation of mutual interest. The distinguished visitors were accompanied by the United States Chargé d’affaires in Cuba, His Excellency Philip Goldberg. 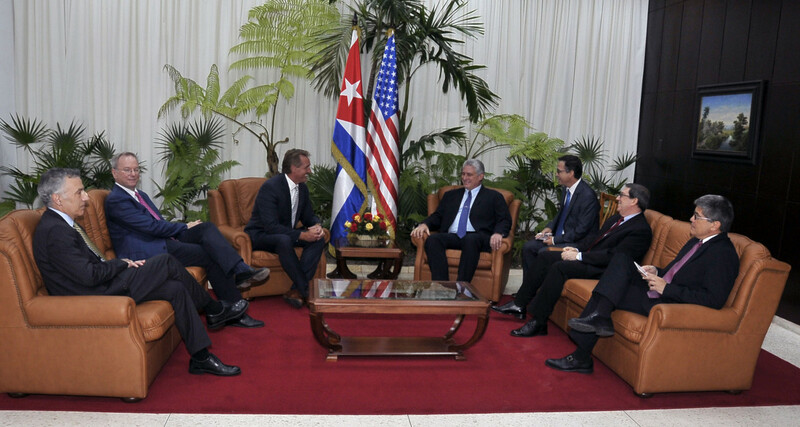 On the Cuban side, the Minister of Foreign Affairs, Bruno Rodríguez Parrilla, and the United States Director General of the Foreign Ministry, Carlos Fernández de Cossío Domínguez, were present. The arguments that have been taking place for years between the French corporation Pernod Ricard and the U.S.-based Bacardi company since shortly after the triumph of the revolution in Cuba are rooted in political realities that far outstrip the apparent battle for the Bacardi and Havana Club rum brands that have lasted for more than half a century. 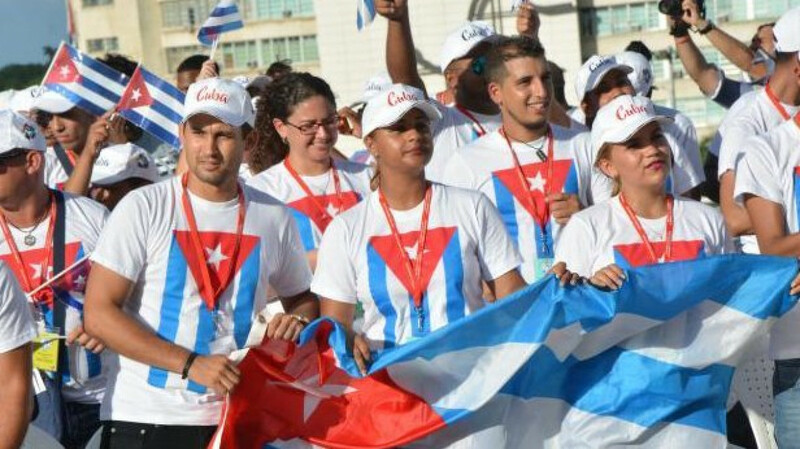 The controversy derives from the fact that the Cuban popular victory of 1959, which led to the revolution in power on the island, was followed by, among other popular demands, the inescapable commitments made by the rebels to the people. These included agrarian reform, the literacy campaign, the urban reform, the nationalization of public energy, water, and communications services, and the large industries. The government of the revolution set out to agree mutually satisfactory compensatory solutions with those affected and succeeded in almost all cases. The then-owners of the Bacardi rum company skillfully managed to register the firm in Bermuda and prepared to resist nationalization. They took the documents and individuals of some of the company’s directors from Cuba. But they were unable to extract the talent and the century-old expertise and inventiveness of the humble teachers and other workers who have made the product of their efforts famous. Neither do the characteristics of water, climate, and other irreplaceable elements. Then there followed an extensive period of legal disputes in which shipments of the original Bacardi rum from Cuba were systematically confiscated for claims that the counterfeiters were making progress, often through bribes and always supported by pressure from Washington. Finally, the Court in The Hague ruled that the Bacardi firm should retain the right to the Bacardi brand and the bat symbol, but did not admit that the origin of the product was identified as having been made in Cuba since the previous trade name was ‘Bacardi de Cuba’. Faced with this situation, the real Cuban producers invited the prestigious French liquor company, Pernod Ricard, to form an association to produce in Cuba and distribute its proven rum throughout the world under the name Havana Club. It’s trademark was registered until 1964 in the United States Patent Office by its previous owner, José Arrechabala, who, following the nationalization of its factory, had renounced the trademark and declined to renew it. The Arechabala family had founded the distillery in the city of Cárdenas in 1878, and in 1934 sold rum under the name Havana Club in the United States, apparently in contravention of the “prohibition” or “dry law” laws then in force there. With the acquisition of the “Havana Club” brand by the Pernod Ricard/Cuba Ron consortium and the support of an intensive advertising campaign, sales grew significantly in more than 100 countries. Due to the laws of the imperialist blockade of Cuba, the United States remained the only country in the world where Cuban rum could not be sold. Alarmed by this situation, the Bacardi organization, which in its relationship with Cuba has always been more oriented towards political reprisals than business, opted to prolong the legal battle by focusing on the use of the Havana Club trademark. To that end, Bacardi tried to present itself as a legitimate purchaser of the rights to the Arechabala family’s trademark. “After the Cuban regime confiscated the Arechabala brand without mercy and by force, Ramón Arechabala personally transcribed the recipe and gave it to Bacardi as an agreement between the two families, both exiled from their homeland,” was his desperate and foolish argument. In 1999, using its political ties in Washington, Bacardi managed to get Congress to approve the so-called Section 211, which allowed it to market under the brand name “Havana Club” in the USA. This ad hoc legislation was condemned by the World Trade Organisation but has allowed Bacardi to sell a fake ‘Havana Club’ made in Puerto Rico in the United States. The book “Ron Bacardi: The Hidden War” and the documentary “The Secret of the Bat” show the relationship of the Bacardi company with the ultra-right-wing and Cuban-American mafia in Miami. They also reveal the participation of its team of lawyers in the drafting of the Helms-Burton Act. This law, in 1996, codified all the provisions that had formed the economic blockade of Cuba since 1959 into a single legal instrument so that not even a new US President could abrogate the genocidal siege without the approval of Congress (as happened to Barack Obama).